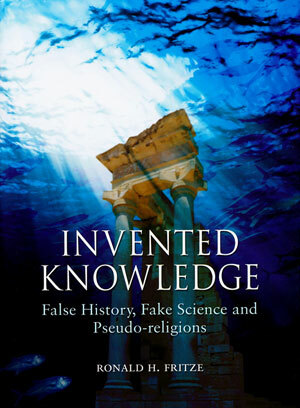 Invented Knowledge is about various strange and false beliefs that have been held and still are held about the human past; the book tells how several strains of pseudo-historical and pseudo-scientific lore came into being. What we’re talking about is a body of lore that includes lost continents, prehistoric super-civilizations, ancient astronauts, the Chinese along with many others discovering America before Columbus, the Ten Lost Tribes of Israel, and other strange theories of the same ilk. Some of these fallacious theories claim to be based on historical evidence while others claim to have their foundations in archaeological or scientific evidence. In all cases, the advocates misuse and distort history, archaeology and the sciences in ways that appall professional scholars and critical thinkers. Some of these fringe ideas are amusing in their quirkiness and ultimately harmless. Others have proven to have some nasty consequences. Some of these questionable theories have a long pedigree, the idea of Atlantis being about 2500 years old. I argue, however, that for the most part pseudo- or fringe knowledge is a product of modern industrial and post-industrial society with its mass education and mass culture. It is also the reverse side of the scientific and empirical knowledge produced by modern society. Ironically many of the sources for these fallacious ideas are obsolete and discredited scholarship from earlier eras. From the seventeenth century into the twentieth century, belief in the existence of pre-Adamic races was considered heterodox by traditional Christians but perfectly respectable in the eyes of free-thinkers and people trying to reconcile Darwinian evolution with Christianity. During the second half of the twentieth century, Christian Identity turned the concept of pre-Adamites into a religious justification for white supremacy. People are fascinated by conspiracy theories, mysteries, secret knowledge, the supernatural, and exotic cultures. Purveyors of fake knowledge appeal to all of these impulses quite successfully. 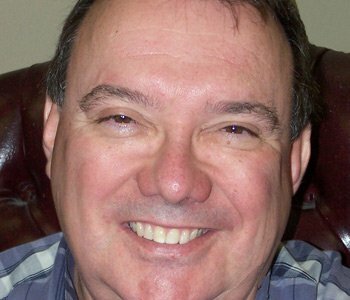 They provide simple but dramatic answers and explanations to questions about the past. In contrast, traditional scholarship supplies complex, seemingly prosaic, and sometimes irritatingly tentative answers to the same questions. Furthermore, many academics simply ignore pseudo-scholars as beneath their dignity. But the fact is that the questions answered by the pseudo-historians are questions that a curious public frequently asks. Rather than abandon this ground to fringe scholarship, my book’s goal is to tell the story and provide a genealogy of pseudo-history and pseudo-science about the human past.